Workshop pollution from high temperature exhaust gases has long been a problem in many establishments. 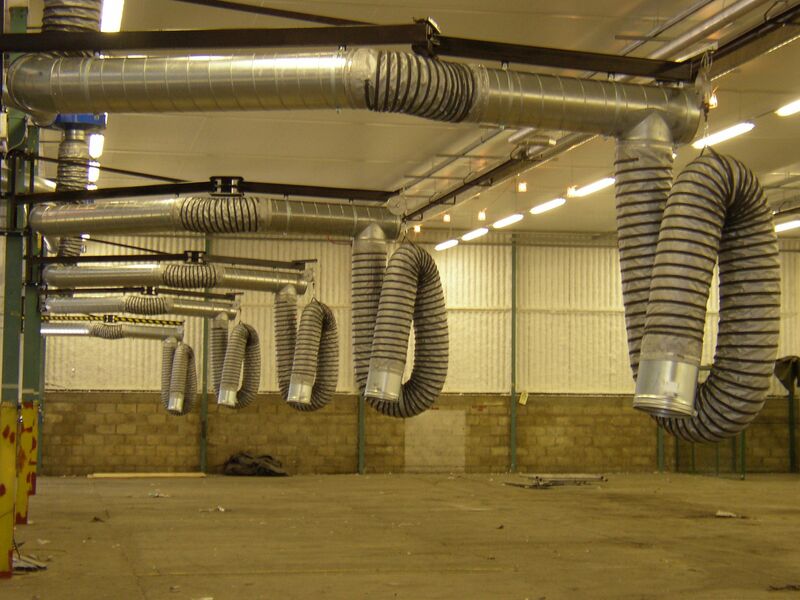 Total Extraction Solutions Limited design and install extraction systems tailored to suit individual applications. 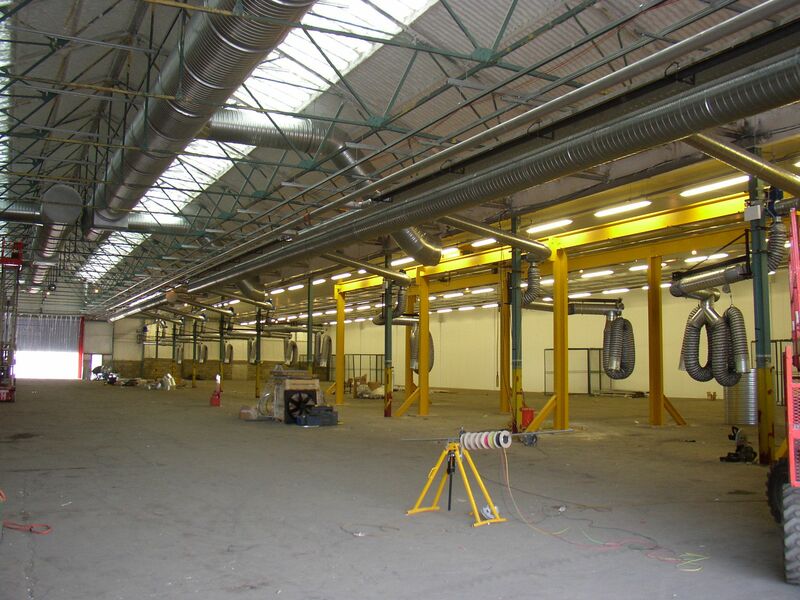 Swing Arms are designed for maximum flexibility, the Swing Arm can cover a number of work bays. 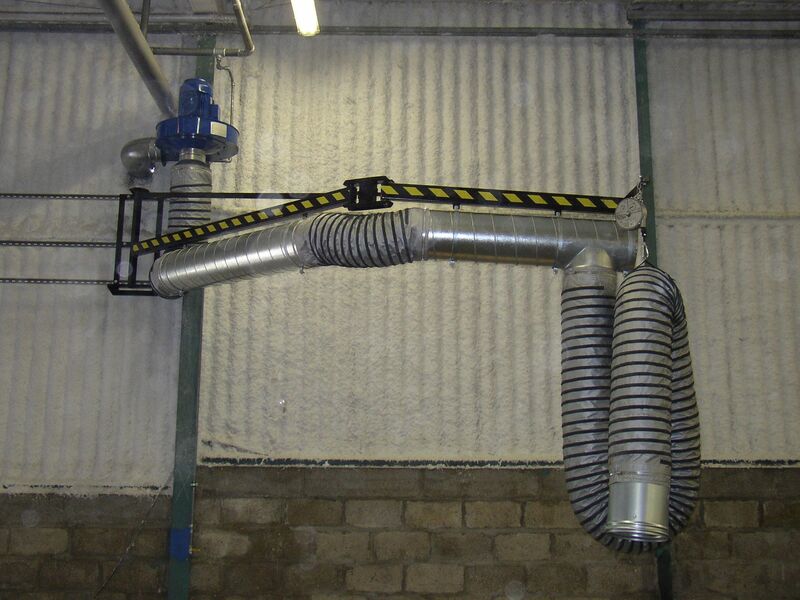 It is the most popular exhaust extraction system for the military tank workshop, this tried and tested method consists of a rigid arm extending into the workspace providing effective extraction over the vehicle without the need to have trailing hoses scattered across the floor. The double outlet accommodates twin exhaust ports or two single exhaust vehicles running simultaneously. A comprehensive range of exhaust adaptors are available to suit all MOD hardware. Manufactured from steel plate and finished in bright zinc plating, these adaptors are supplied with a flanged outlet for easy attachment to the quick release coupling fitted to the suction hose. Exhaust adaptors can be specially made for vehicles not covered by our standard range. A full range of specialised hoses capable of withstanding extremely high temperatures as high as 1000°C are also available. For further information or to arrange a free no obligation site visit click here to contact us via E-Mail or call 01709 555501!